Website owners and bloggers are always looking for new ways to monetize their sites. Adding advertising is one of the most common, and potentially lucrative, ways for sites to generate revenue, but there’s often confusion about the best internet marketing strategies. While you can always develop a rate card and solicit advertising from specific companies yourself, that’s often a time consuming task. It’s much easier to tap into a network that will handle the advertising for you, while you just collect the profits. However, there is some confusion about the different types of revenue producing networks out there, more specifically, between affiliate networks and advertising networks. Some marketers and site managers use the terms interchangeably, but the fact is they are very different products. By understanding the differences between them and the earnings potential that each offers, you can choose the options that work best for your site and that help you grow your business more effectively, without having to consult (and pay for) an internet advertising company. 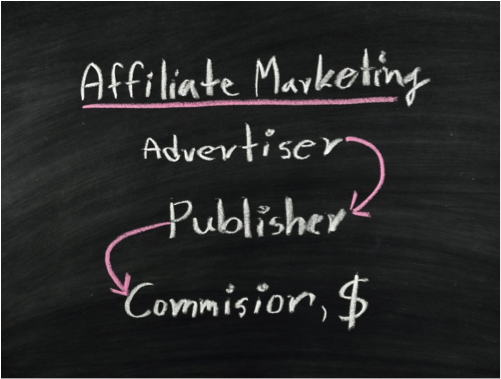 Affiliate marketing a is a strategy that requires businesses to pay a commission to a website whenever they generate referral sales or traffic. Affiliate marketing strategies will only take away from your marketing budget when they are successful. That is what makes them so enticing to business owners and marketing managers. These performance based marketing tactics are certainly something that all business owners should know about. Let’s start by defining and explaining the two different types of networks. Both affiliate and advertising networks share a similar principle: Advertisements are placed on specific websites, and the advertisers pay the site owners based on how many people see, click, or act on the advertisement. However, that’s pretty much where the similarities end. When you join an advertising network, such as Google AdSense, you place an ad space somewhere within your web page design on your site using code provided by the network. This is then filled with advertisements purchased by businesses using that network for their advertising. The ads that appear on your site will vary, and are often keyword determined. In other words, if you own a website devoted to skiing, the ads that appear on your site will most likely be for ski-related businesses such as equipment, ski areas, etc. However, that isn’t always the case. Because ads are keyword-driven, the ad network’s algorithm may pick up on keywords in your content that aren’t necessarily related to your site topic, but have been selected by advertisers. Thus, the ads that appear may not always be entirely relevant, or in line with your company’s brand. You can block certain types of advertising (such as adult content) or particular advertisers, but you have to stay vigilant regarding the type of ads that appear on your site. Affiliate networks give site owners more control over the advertisements that appear on their sites — and tend to pay more than advertising networks. Affiliate networks pay based on actions: When someone clicks on the ad from your site and either becomes a lead or makes a purchase (or both, depending on the advertiser) you earn a commission. Generally, when you join an affiliate network, you must apply to join campaigns for specific advertisers. When you’re approved, you can choose from predesigned advertisements, including banners, images, and text that you can add to your site. Niche sites tend to prefer affiliate networks over ad networks because affiliates offer more control over the ads that appear. The ability to control the ads that appear on your site isn’t the only major difference between affiliate and advertising networks. There are some other key differences to keep in mind. Affiliate networks tend to have a broader scope in terms of the online channels in which they run. Whereas advertising networks tend to focus strictly on websites, affiliate networks offer campaigns across a wide array of channels, including email, social media, search engines, and more. Affiliate campaigns also tend to have a broader range of ad types; you might be able to add a QR code to your site, for example, or include a contextual article within your site. The length of campaigns also tends to vary between the two types of networks. 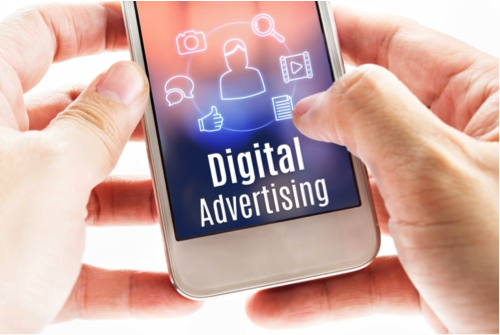 Advertising campaigns tend to have defined start and end dates, particularly in video content marketing, with advertisers generally more cautious about investing huge amounts of money until they are sure the tactic will work. Because affiliate campaigns are essentially another form of becoming a reseller, they tend to be ongoing. For some time now, a rumor has been circulating that affiliate marketing was made an outdated strategy thanks to Google’s newest SEO algorithms. However, it is important for you to understand that this is not true. Google algorithms notwithstanding, affiliated marketing still offers a way for consumers to find relevant resources and goods. Do not fall victim to the rumor that this form of marketing is a thing of the past. Many site owners looking to increase website revenue opt to join both affiliate and advertising networks, especially if they are utilizing a broader generational marketing strategy. In fact, advertisers often use a combination of strategies themselves, for the best combination of quantity (getting their ads in front of as many people as possible using an ad network) and quality (putting their ads in front of a select audience of likely purchasers with an affiliate network). As you develop your site, pay attention to the nuances and choose your networks carefully to maximize your earning potential and keep your audience happy.